Is this website safe? Rather than guess, look hard and guess some more, find here the best sites to check URL reputation and website safety quickly and with confidence. In the wonderful world of writing words down before dictionaries codified spelling, names were transcribed in rich and interesting ways. Take Shakespeare, for example: some twenty different spellings at least can be found ranging from Shaxberd to, of course, Shake-speare. 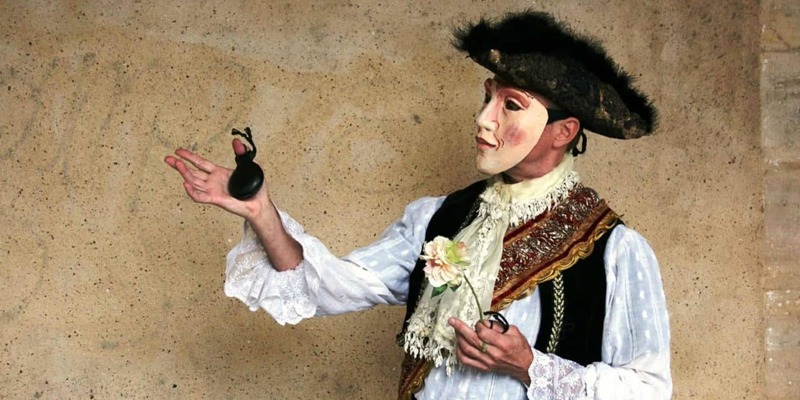 Which names are imposters and who is the true Shakespeare? Who knows. If four eyes see more than two, countless eyes should see about… everything. Online, they see lots of phishing attempts, and PhishTank works as a collaborate clearinghouse to submit and vet such reports. Generally very fast to respond to new phishing attempts sprouting and reliable through countless (or at least some 8) eyes looking at each page, PhishTank is a great place to check suspicious sites. If a page is not in PhishTank’s index, the result is underwhelming—for a reason: since PhishTank only contains bad pages, it knows nothing about good pages, only that they have not been reported as bad yet. If a page is a verified phishing attempt, though, PhishTank returns its score, who verified the page and a screenshot even so you can take a safe peek. Great for the latest phishing threats, PhishTank does not contain other kinds of unsafe pages (such as sites that include dangerous downloads). By way of its browsing the web—through robots and, with permission, Google Chrome—is continuously and automatically looking for danger around the whole of the internet. You can tap into that knowledge not only by using a browser that looks up pages automatically (Google Chrome, Safari and Mozilla Firefox all can do this) as you visit them; you can go straight to the source as well. 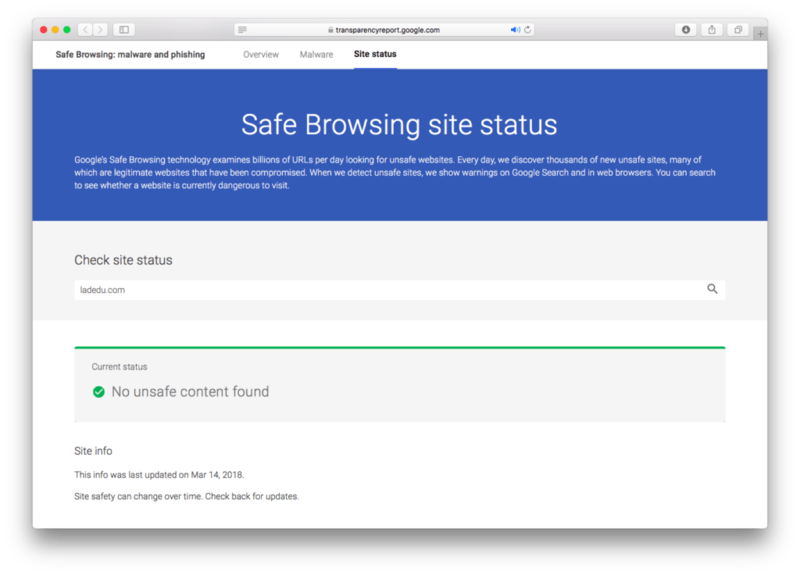 In just as straight-forward a manner, Google Safe Browsing returns the page’s status, all with what dangers were found, when the last update was performed, what actions you can take, and color coding to properly alert you to the important. Google’s automated system, of course, will lag the most recent threats by a bit, overall its accuracy and recency are admirably useful and trustworthy, though. Why check URL reputation with one security site or two and rely on its assessment when you can just as easily check dozens and… well, maybe be left with the assessment to make yourself? 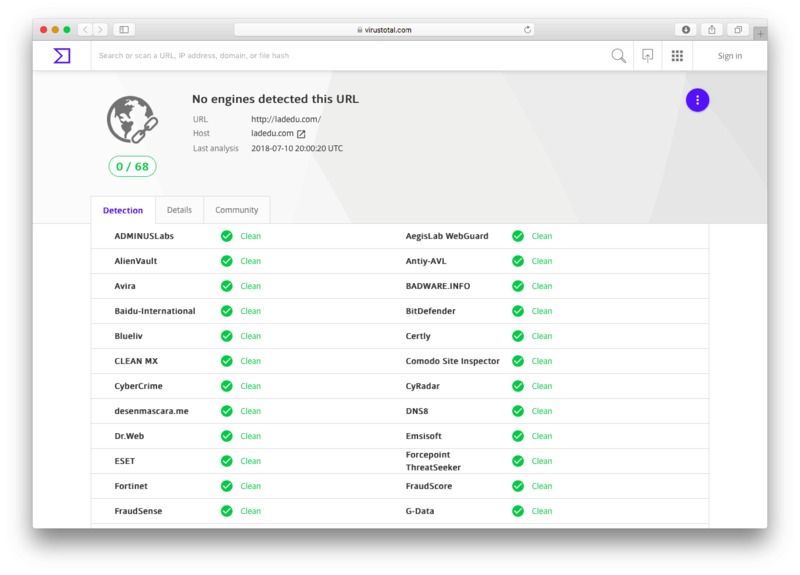 VirusTotal offers a terrifically comprehensive URL checker that returns a concise overview of the opinion of fifty blacklists or more. 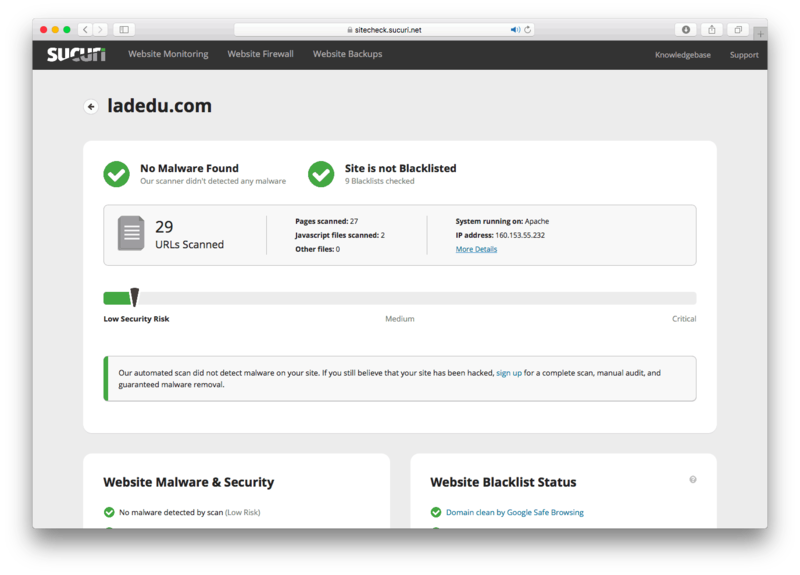 If a site is marked unsafe by any service, you get to see an unmistakable alert together with a brief reason for the labeling. In addition, VirusTotal offers a few technical details about the page and lets you vote as well as see other VirusTutal users’ votes. Unfortunately, the sheer vastness of VirusTotal’s results can make one question each list’s opinion—and you may indeed have to cast your own vote; It’s either that or the safe rule that marks anything unacceptable that even one service lists as unsafe. 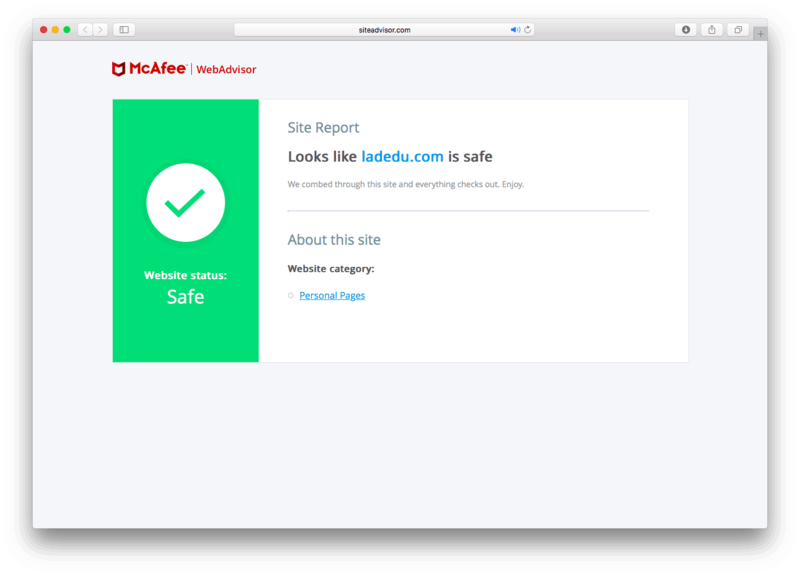 McAfee’s WebAdvisor is a plug-in for Windows browsers that, in addition to checking downloaded files for safety and alerting you to your computer’s security, also checks websites as you visit them for phishing attempts. That latter portion is also available in any browser by visiting http://www.siteadvisor.com/sitereport.html?url= with the page to be checked appended, e.g., http://www.siteadvisor.com/sitereport.html?url=ladedu.com. The reports in WebAdvisor are very much to the point, up to date and useful. A bit clumsy to access from outside the browser plug-in, McAfee WebAdvisor gives good advice. If a comprehensive check and consultation are more important to you now than speed and advancement, turn to Sucuri SiteCheck. Aimed at website owners to check their pages for attacks and hacking, Sucuri’s SiteCheck is also very useful for an encompassing overview of a page’s safety if you are queasy about trusting it for a visit. In addition to running its own checks for malware injection and hacking, SiteCheck consults a host of safe browsing blacklist (including Google Safe Browsing, McAfee WebAdvisor, PhishTank and the Spamhaus DBL). The results are presented in an easy to digest manner; you just have to wait a bit for them to arrive. Rather than wonder whether to trust each page as you visit it, you trust a third party to tell you which pages to trust—or, in the case of Web of Trust, to tell you whose ratings to trust. Web of Trust collects and weighs other users’ opinions about websites and their safety. This makes for a comprehensive directory of information on URL reputation, to which you, too, can contribute. Unfortunately but understandably, the ratings are not always up to date with the changing nature of the web’s pages. 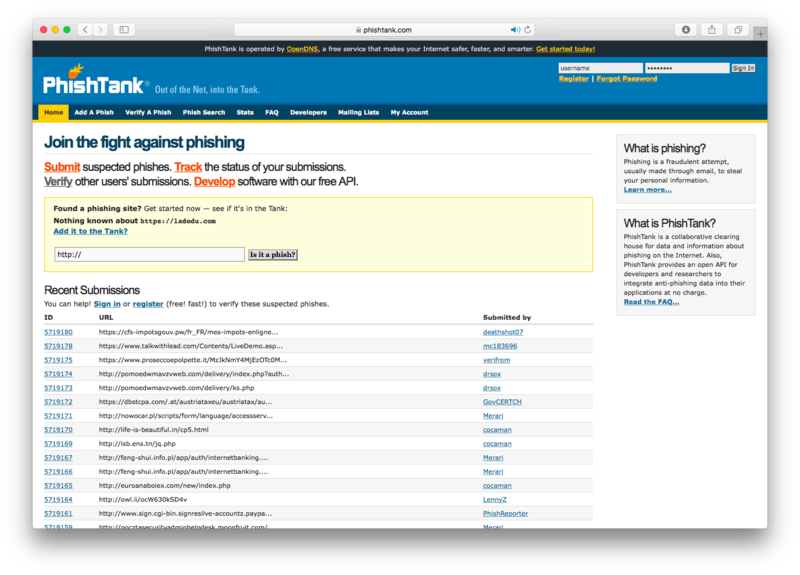 To counter this weakness, Web of Trust incorporates semi-automated and up to date phishing checks from PhishTank. Like a search engine, Norton’s Safe Web scours the web; instead of cataloging all the information it can, however, this robot looks for and lists unsafe sites. 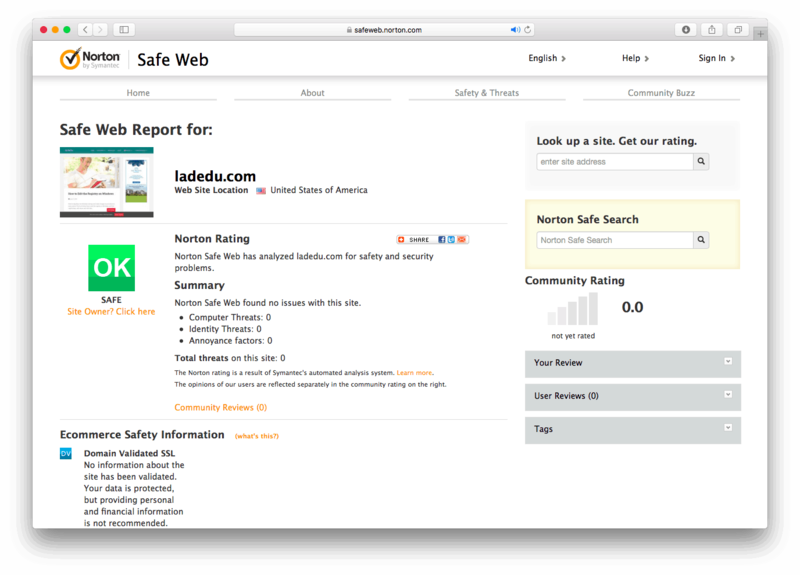 You, in turn, can look for the pages you visit—especially the suspicious-looking ones—against Norton Safe Web’s index. 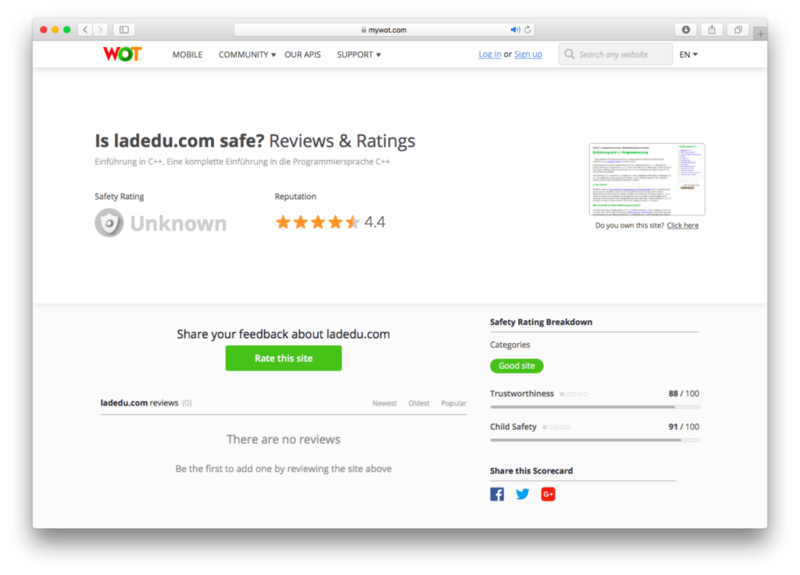 This information is combined with community reviews (and screenshots) to form a well-rounded picture of a page’s security and trustworthiness. It also means Norton Safe Web can be a bit slow to alert you to the latest threats. While it can tell you lots about reputable and established sites, it may miss the phishing attempt du jour.